These units are specifically built for Aquaculture, Aquaponic or Agricultural use only. Please contact us if you have a different application needed. 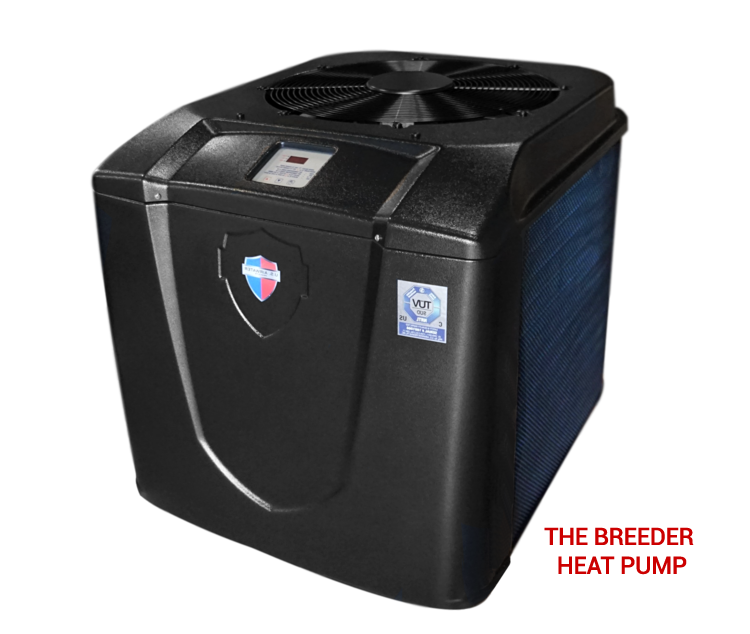 Lifetime Warranty on The Breeder Heat Pump Heater Titanium heat exchanger with Replacement Guarantee. If the heat exchanger fails within the first ten years, we will provide the homeowner with a brand new equivalent heater, free of charge. 10 year limited parts warranty. 10 year limited warranty on the SCROLL PERFORMANCE compressor.